Asset tracking is a challenge that seems tailor-made for an Internet of Things solution. Imagine sensors connected to a tiny IoT processor that can be mounted on shipping crates, or on individual objects lining the shelves of a retail operation or private home. The sensors collect data–location, temperature, movement, sales or consumption details, for example–and pass it into the cloud where that data can be sliced, diced, and fed into a recommendation engine. Tapping into the engine then helps someone make an informed decision based on what’s trending, under what circumstances the product will be consumed, and what to expect when they try it for themselves. Intel® had been exploring that premise, looking at ways in which Intel® Edison™ technology, Intel® Quark™ processors and microcontrollers could be used to prototype just such a system. A connoisseur’s collection fitted with Sommely caps. For Uncorked Studios, that idea was a product called Sommely (from sommelier, or wine steward). 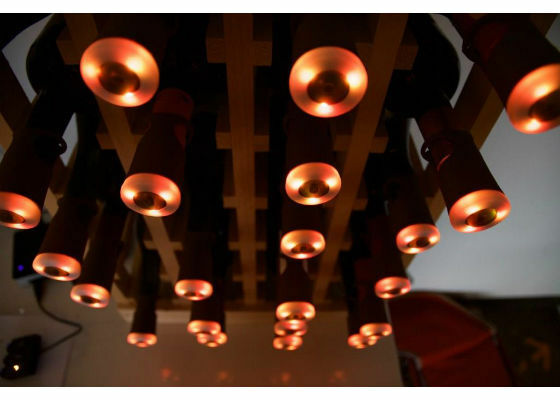 WithSommely, the luxury wine market served as the vector for proving that a smart asset-tracking system for wine enthusiasts could scale from the domestic wine rack to restaurants, wineries, and beyond. The aptly named Uncorked Studios* is a product design and development company, which, for the six years of its existence, has been focused on “the relationship between digital environments and the physical world.” The company’s team of 42 has created smart-home and wearable products in collaboration with LEGO*, Google*, adidas*, and Samsung*, among others. Working with Intel, Uncorked Studios* helped design the multi-camera array used in the Intel® RealSense™ launch. Sommely* is Uncorked Studios’ first foray into the wine and asset-tracking market. As a smart inventory-management system for wine collectors, Sommely uses several Intel IoT components to keep a running count of what’s in a particular wine collection. The system can also make smart recommendations by drawing on crowd-sourced data to suggest what to drink, when a bottle is ready to drink, and the food it pairs well with. To accomplish that, a mobile-friendly website communicates with a gateway or a hub that’s connected to the Internet via Wi-Fi. The hub also communicates with individual caps fitted to each of the bottles in a wine collection. The caps hold batteries, a radio that talks to the hub, sensors, and LED lights. 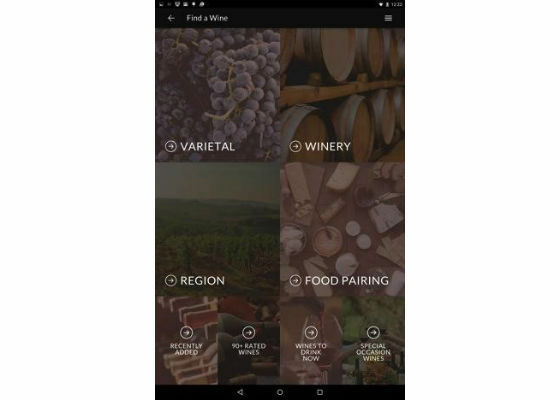 Along similar lines, the Sommely app gives users the ability to choose wines for special occasions, based on criteria that includes the food the wine is being paired with, the characteristic elements you’re looking for (light and crisp, big and jammy, etc. ), and whether a particular bottle is ready to be enjoyed now or if it needs more time in the cellar. The system will also warn when a bottle is past its prime. The crowd-sourced component, like Sommely itself, is a work-in-progress. Alvarez’s goal is for their app to “play nice with other apps”. “We’re not competing with apps like Delectable Wines* or Vivino*, so we could partner with them.” He envisions getting data that includes a large sampling of what wine lovers are drinking at any given moment, along with data such as industry and consumer reviews and tasting notes. Sommely could aggregate and present that information in ways that encourage curiosity and exploration. What does Sommely have that other systems don’t? Traditional, analog inventory systems that use things like spreadsheets and post-it notes, or tags that hang around the neck of each bottle, have drawbacks. “For example, they require a lot of individual attention,” Alvarez pointed out. “You need to write down drink-by dates, assuming you even have that information.” Another disadvantage is that manual systems don’t automatically update when you drink a bottle, making it easy to lose track of what’s in the collection. A low-power, 32-bit Intel® Quark™ microcontroller D1000 resides in each Sommely bottle cap. Uncorked Studios’ engineers leaned heavily on the fine-grained power management features of the Intel Quark microcontroller D1000. Standby mode and fast wake-times helped maximize battery life, which was crucial for a ‘set it and forget it’ solution expected to function for long periods. 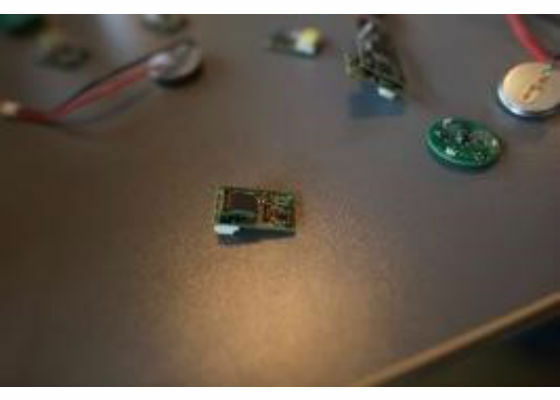 Low-power Intel Quark microcontroller D1000s are tiny enough to fit in a bottle cap. The gateway’s Intel NUC enables discovery of the BLE caps and maintains their connection state over time by periodically scanning and re-scanning, as well as taking Received Signal Strength Indication (RSSI) measurements. The browser-based system interface draws on a library of collection and search queries, and the design provides an upstream connection to Wi-Fi. The Uncorked Studios team has been using Intel-powered Dell* Venue tablets to test-drive Sommely. A lot of technology has gone into Sommely, and, Alvarez says, “we’re looking at ways to create frictionless interaction with the system. We want to keep it simple.” According to Alvarez, the physical components, the context in which they’re being used, and even the BIOS all posed design challenges. For starters, the gateway needed to blend in. After all, wine enthusiasts want the focus of attention to be on the bottles in their collection, not on a high-tech telecommunications device. As a result, the Intel Quark microcontroller D1000 and the battery are hidden within the Sommely bottle caps, and the gateway is housed in an Intel NUC. 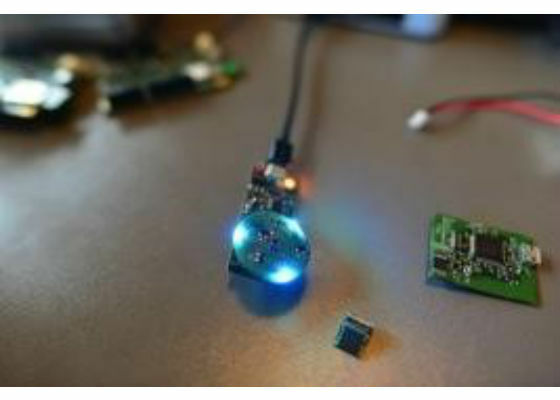 The Sommelybottle caps supply user feedback through a ring of three LEDs. That presented the UX team with another challenge: developing an intuitive user experience for a device that doesn’t have the traditional elements of a user interface–there’s no screen to display things on other than what’s available through the web app. 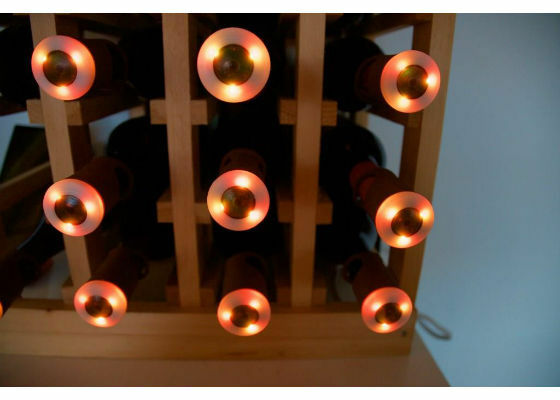 Inside each Sommely bottle cap sits three LEDs positioned 120 degrees apart. They change color to give visual feedback. Sommely bottle caps deliver feedback by lighting up. Sommely lets users make smart choices by drawing data from the cloud. The app’s backend is hosted on Amazon Web Services (AWS)*. The Uncorked Studios engineers turned to a number of Intel software development tools when coding Sommely. The gateway runs a custom MEAN stack implementation and Intel® System Studio for Microcontrollers was used to code the Intel Quark microcontroller D1000 firmware. “Having sample code for the Intel Quark D1000 firmware made a huge difference for us when it came to some of the trickier portions of the system, power management specifically,” Alvarez said. As a result of the relationships established during the invitation-only developer day, Intel hardware and software engineers helped the Uncorked Studios team with the Intel Quark D1000 firmware. “We were able to get up and running on the Intel Edison NUC very quickly,” Alvarez said. “With the Intel Quark D1000, Intel engineers were able to look at our code and give us input that helped us resolve issues. High-value inventory management—keeping track of valuable things—using IoT technology offers solutions to a lot of challenges. For example, tracking tools in a factory, or keeping tabs on a collection of Star Wars* figures, Barbie* dolls, antiques, and other rare collectibles being shipped across town or across borders, and monitoring the day-to-day life of a wine collection. Uncorked Studios was in lean, startup mode with Sommely when they started working with Intel IoT technology. Intel hardware and software engineers helped the Uncorked Studios team quickly prototype the smart asset-management solution. The lessons they’ve learned so far, and possible new use cases, hold great potential, especially when scaled to support larger inventories. Whatever the future holds for Sommely, it shows how Intel fosters innovation through collaboration with startups. By helping Uncorked Studios overcome technical hurdles and scale Sommely from one to many sensors/caps, Intel gained valuable insights. Those insights, in turn, helped the Intel team refine and enhance Intel’s IoT hardware and software solutions. 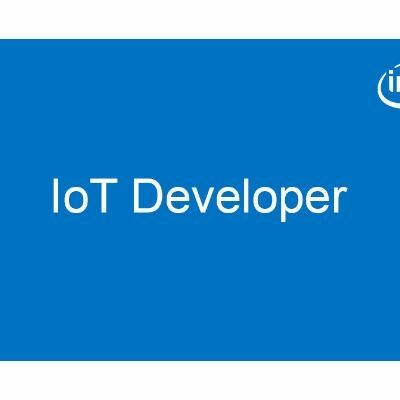 If you’ve got a burning desire to change the world with IoT technology, but you’re having technical difficulties, drop by the Intel Developer Zone. Our domain experts, and the developer community at large, might be able to lend a hand. Where to buy case modding stuff?